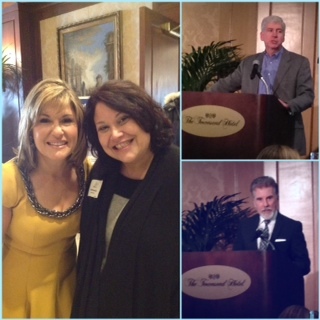 Care House of Oakland County held their 19th annual Circle of Friends luncheon. Care House protects children from abuse and neglect through advocacy, education, intervention and treatment collaborating with the community. The keynote speaker was John Walsh (lower right), television personality, author, and criminal investigator. He specializes in helping recover missing children. He and his organization have recovered 60 missing children alive. Michigan Governor Rick Snyder (top right) welcomed the crowd. Lila Lazarus, award-winning television personality and spokesperson extraordinaire, was the emcee. 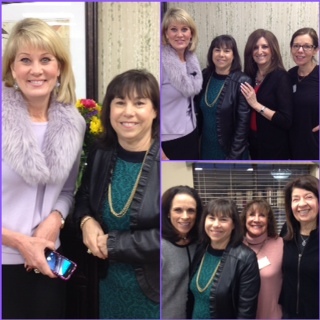 Lila (far left) is with Adrienne Lenhoff of Shazaaam Public Relations. The best part of the event is the mission of Care House — helping children. Mochachino is a tasty drink, but it’s also a gourmet nail polish by Essie. I noticed the color on my friend’s hands the other day. 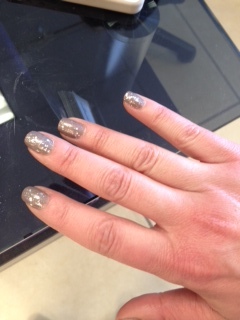 My friend, Robin Schwartz, spiced the look up by adding glitter. Robin is the weekend anchor at Fox2 Detroit with beautiful nails and a winning smile. She’s also an insightful reporter. I just love the colorful nail polishes and the names are fun too. 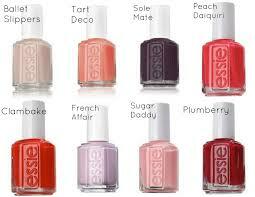 Some favorite Essie colors are: guilty pleasures, bikini so teeny, prima ballerina and adore-a-ball! What’s your favorite nail polish? If you like reading about history and people who have made an impact on their community, you’ll enjoy the series Legendary Locals by Arcadia Publishing. 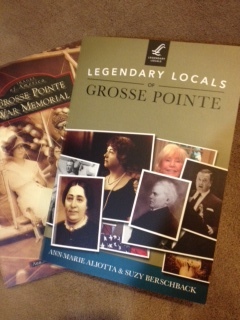 One interesting book in the series is Legendary Locals of Grosse Pointe by Ann Marie Aliotta and Suzy Berschback. Grosse Pointe is a rarefied suburb near Detroit on the shores of Lake St. Clair. Its first inhabitants were Native Americans, followed by the Europeans, particularly the French. In the 1920s, it became a haven for the auto barons of Detroit — the Fords, Dodges, Algers, etc. In fact, you can take a virtual tour of the some of the mansions, courtesy of the Grosse Pointe Historical Society. Aliotta and Berschback compile an annotated pictorial history of the many interesting families of this unique community. Some of the people and families highlighted include: Jeffrey Eugenides, Edsel Ford, Charlotte Ford, Julie Harris, Edgar Louis Yaeger, Anna Thompson Dodge.